Legionella and hygiene company, Guardian Group have increased efficiency and reduced response times by allocating jobs based on GPS location. 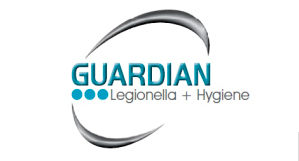 Legionella and hygiene company, Guardian Group are dedicated to ensure the safety and peace of mind of workers, owners and tenants both locally, in Lincoln, and around the country. Guardian Group’s previous solution was a combination of spreadsheets and paper, which was an unreliable process and the main reason behind their decision to switch to software. Sheets would be misplaced, lost or employees would forget to hand them into the office on time. Due to this, there would be a delay in sending out invoices, leading to prolonged payment times. Furthermore, customers would query updates about the jobs that are taking place but with no real time information Guardian Group were unable to provide any job reports or job statuses to their customers. After noticing that the system was outdated and causing a mass of problems, there was a need for change to alleviate the pressure being placed on the company. 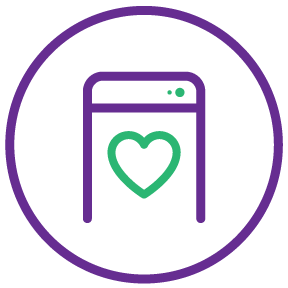 Guardian Group got in touch with MyMobileWorkers to implement a digital system that would get rid of paper and their spreadsheets, whilst also providing a means of improving customer relationships and the ability to collect real time information. The solution was rolled out to 14 mobile users within weeks, and the benefits were apparent immediately. The safety of others is of great importance to Guardian Group.  Finding a system that can enforce 100% compliance has allowed us to provide a greater level of customer service and become a more professional company. Getting rid of paper was a necessity. MyMobileWorkers helped us achieve this in a matter of weeks, reducing costs and providing us with a more efficient process. Reliability was an immediate benefit of making the switch to MyMobileWorkers. All information is securely stored onto the database making for the availability of real time information and the ability to recall data immediately at the office workers disposal. Due to enforced workflows all work that has been carried out is recorded, meaning any problems that arise on the job will be flagged up on the system and can be dealt with immediately, preventing problems from manifesting. Customer and worker satisfaction has increased due to this instant transfer of data, making Guardian Group 100% more visible. Cash flow has also increased due to invoices being sent an average of 10 days quicker than the previous system. This is because all information is readily available as soon as the job has been completed. Previously Guardian Group were bogged down with making calls to organise and track the workforce. Now with live updates, timestamps and GPS tracking, dealing with customer issues has been simplified, creating a large time and stress saving. From the administration teams point of view, MyMobileWorkers has increased efficiency.Read More Jobs and schedules can be created a lot more quickly, which has resulted in an hour a day time saving due to the removal of paperwork. Guardian Group can now assign jobs to the closest mobile worker based on GPS location. This has resulted in greater operational efficiency and the possibility to pick up more jobs.